Are you a fan of Basketball’s most fun weekend? 3-Points Skill challenge brings the challenge from All-Star Weekend right to your iPhone. The three-point challenge is one of the most exciting challenges in the game. You’ve got to shoot three pointers from all angles and try to beat your rivals’ scores. With 3-Points Skill Challenge you get 60 players to choose from. And no Mr. John Doe here. All these players are based on a real player. These players have different strengths and weaknesses. You also get 4 different modes: Quick play, practice, exhibition, and tournament. What makes this app more exciting is the fact that you can play against up to 8 others in pass & play mode. Nothing beats competing with others in a game that is solely based on how well you can compete. 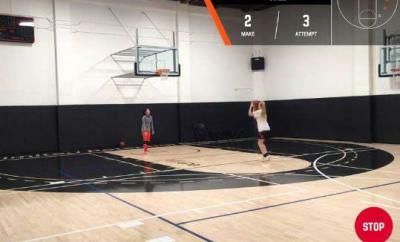 3-Points skill challenge is a great application for basketball junkies. If you enjoy playing basketball games on a PC or Xbox or you are just looking for a fun little app to kill time, you won’t be disappointed with 3-points Skill Challenge.